Bully Pulpit games has offered a sneak peek into a new version of Fiasco. Now Fiasco is a game I like but it can be a little bumpy to get the most out of your first few games. One thing that might be daunting is how wide open game elements can be. It’s interesting that the designer has thought about reining potential outcomes in some, and offering more concrete scenarios. I dig the idea that of sets of cards represent everything you need to play. For uninitiated folks this might be a fun way to jump into the game and not have to wrack your brain over details of relationships and needs. As a product, it’s an interesting idea how to sell new content. You buy a pack of cards that can have everything in a playset. Even more interesting, you can mix and match playset elements, making games unique and add some replay. It appears to be striving for a more structured, and a little more approachable, play experience. I always felt Fiasco was a solid introduction to RPGs for people that dabbled in gaming. You didn’t need to worry about character generation and learning any game mechanics like hit points, abilities, or skills. You could just think up a character and play out a scene. However it still could be too cerebral for some folks to get. This new version might offer an easier introduction (and faster playthrough) to the game. I imagine the idea of cards and more structured game elements will put some off. There is still a huge number of free playsets available, even one done by yours truly though. Regardless glad to see Fiasco getting a potential face lift and maybe another release for more people to enjoy in the near future. One slight complaint I had with the base campaign for the Arkham Horror LCG was that after a few playthroughs things were going to get repetitive. You’d have the same location cards, the same agenda and act cards, nothing really would change and repetition would creep in. This is alleviated some in the 2nd and 3rd scenarios as there are excess location cards, throwing a little variety into the layouts for those scenarios. I mentioned a small expansion that could add some additional location cards would be great to stretch out the replay of the core set. Seems folks at Fantasy Flight had the same idea. Return to Night of the Zealot is a new campaign that has just been announced. With roughly 60 cards, this mini-expansion supplements the original core set campaign, adding new agenda and location cards to provide a different experience. Additionally there are new monsters and encounter cards that ramp up the challenge. I’m happy to see this being explored for the core set. A small tweak like having additional location cards really opens up the replay potential for it. In addition to the new scenario cards are new investigator cards. Most seems to be improved versions for those in the original box. Get a few XP and you can change out a couple of level 0 cards with better versions. On this point I am a little disappointed. It’s wonderful to have more investigator cards for the game, but I wish more were included to lessen the need for buying a 2nd core. Why not also include the full spread of neutral cards and a couple of key level 0 cards for every class? That could potentially allow 3 or 4 people to play and add a ton more value to this expansion. It’s also alluded that there are challenges introduced into the game. Sort of some type of achievement which might offer additional rewards or player abilities. The details on that seem a bit murky, but might offer a fun side event to the main game. Lastly the packaging seems to allow for you to store all the core set encounter and scenario cards together inside this box, offering a better way to organize your cards. A nice touch to make the packaging more functional. Despite my niggles, overall I am excited to see this. The jury is out, but I could see this as a solid ‘next step’ purchase for those wanting to get into the game a little more. I’m still working my way through the Dunwich Legacy expansion. Overall it’s great and the base expansion set adds a ton to the game, but I have a reservation with it. The base expansion set only has 2 scenarios and essentially sets the stage for a full blown campaign. You really need to purchase all the mythos scenario packs to complete Dunwich Legacy. That is a huge buy in. Return of the Zealot offers additional play with just the core set and a smaller initial purchase. If you dig Arkham Horror but didn’t necessarily want to try out a long, extensive campaign, this product seems to be an ideal choice. Something to add to the core set experience, but not require you to purchase a ton of scenario packs to get an entire campaign. We’ll see how it fares. Tad disappointed that more effort wasn’t made to expand the player count and open deck building options with this expansion. However I’m glad to see the campaign was revisited and some love given to it. Great to see cards added to offer a different play experience and stretch out the replay value of the core set. New Netrunner core set announced. I’ll be dipped in poop. 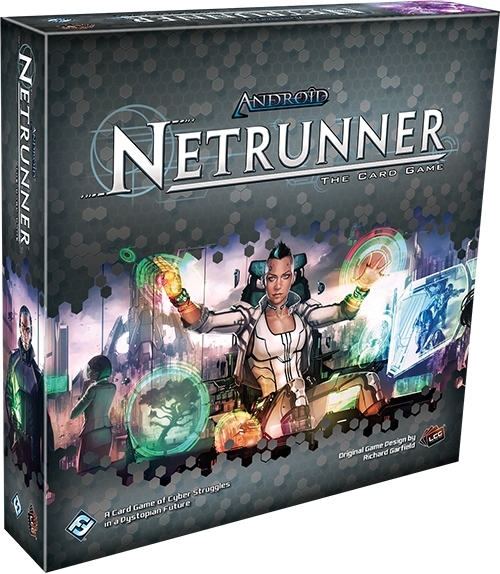 Fantasy Flight is releasing a new core set for Netrunner. On other social media I’ve been lamenting about Netrunner a bit. It was odd that GenCon came and went and the official Fantasy Flight presentation made no comment about the game at all. When pressed there was a non-specific comment about the last data pack being released and potentially rotation hitting before the World’s tournament, but nothing else. Quietly as the game has evolved and errata crept in, the core set was in a little trouble. Most notable was that Astroscript Pilot was changed so that only one card was allowable in a deck. That really broke the box in a way, making it impossible for a player to make a legal NBN deck out of the core set. Mind you this wasn’t a change made to reflect any tournament games, this was a full out change to the card. So some type of product was needed to fix it. Additionally rotation for Netrunner has finally hit. To explain for some that are scratching their head, Fantasy Flight introduced a concept of rotating out older expansions. Their expansion packs are released in cycles with each pack part of an overall theme. After a certain number of cycles, earlier expansion packs will drop out of tournament play. The cycles are typically 6 expansion packs, each full cycle being around 120 unique cards. The idea is that after so many years there is a bloat to the competitive game from a huge card pool. Allowing expansion cycles to retire reduces the overload of cards new players have to take in and allow new expansions to do different stuff (since they don’t have to be worried about how it will combine with abilities from card X in the very first card expansion released years ago). Aside from these expansion cycles however are larger, big box expansions (Terminal Directive is included in this). They’re considered evergreen products. The cards in these expansions, along with the ones in the core set will never rotate out and always be usable for tournaments. A nice stepping stone if you will, that allows new players to expand their card pool on a budget and never have to worry about their cards being retired in 4 or 5 years. So now it looks like instead of another evergreen expansion, Fantasy Flight decided to go all in and release a new core set. From the blurb on the announcement page, it will be 247 player cards split between 133 Corp cards, and 114 Runner cards. Interestingly, while it will be a new player introduction to the game they will not introduce any new cards. Something notable is that players that have data packs (card expansions) from the first two cycles, Genesis and Spin will already own all the cards potentially in this set. So it won’t be adding anything new. It also appears to answer a burning questions many have had. What will be replacing staples from the Genesis and Spin cycles now that rotation has come? Many considered the Genesis and Spin cycles were core 2.0. They had cards that filled in a lot of gaps from the initial core set. So much so that a handful of cards are considered standards to competitive decks even years later. Now it appears that they might have a second life as part of the new core set (and more notably will never rotate out of the tournament scene). Another very interesting change is the core IDs and a few other cards will be retired. It looks like HB: Engineering the Future has been replaced with Stronger Together. The runner factions have also had a huge shift. The Anarchs how have Reina Roja instead of Noise, while Shapers now have Chaos Theory instead of Kate “Mac” McCaffrey. This is a big change, especially for Anarchs. Some folks have always mentioned Noise was a little too disruptive to the normal game and it looks like from an introductory perspective, Fantasy Flight decided to go in a different direction. Along with this of course is the removal of some core cards. Looks as if a few icon standards for Anarch (Medium, Parasite, Yog) along with Criminal (Account Siphon and Desperado) will be removed from the game. Another big corp card to leave is Scorched Earth. There’ll be some replacements but not quite the same. I’m surprised by this but think the undercurrent is these core cards have slowly strangled the design space, especially Parasite as ice destruction will always be hovering over any future combos because of this card. Aside from a new distribution of cards and IDs, it looks like there will be new card art. On another small note it also appears the box is a tad smaller in depth, more akin to the Arkham Horror LCG. I do wonder if some cards might get reintroduced as doppelgangers in function for future cycles. I’m curious if some’ll sneak in the new expansion that was announced. Certainly hope a few will, but maybe it’s been decided that those cards from the core need to be retired for good. 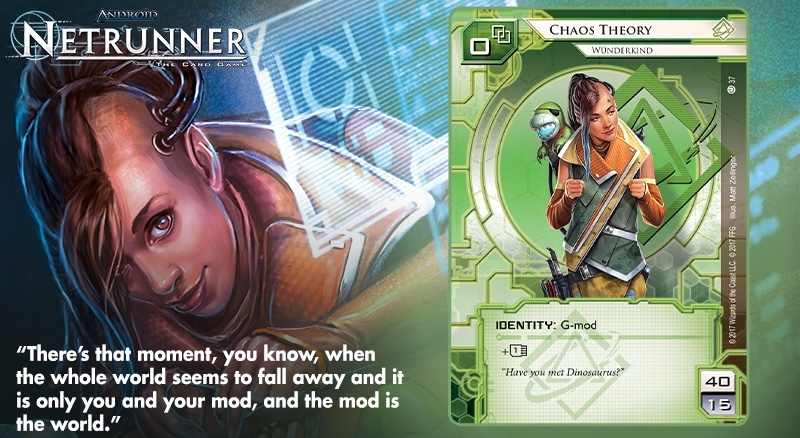 Either way, exciting times ahead for Netrunner. “Rebel Publishing Ltd was formed in July 2002 and traded successfully for a number of years. Spartan Games was launched in 2008 and grew rapidly. However, the tabletop games market is challenging and has changed over recent years, and suppliers are predominantly a small number of large well-known names and several small, cottage industry, type businesses. Initially the business outsourced production but following quality control and production management issues, manufacturing was moved in house between 2009 and 2011. Over this time and since, significant investment was made into machinery and infrastructure. The business also expanded to provide models for a well known video game, moving this into the tabletop games arena. However, significant new development costs, timing issues and the deflection of management time from the core games brands resulted in a significant trading loss for 2015/6. The business was able to continue to trade by raising additional finance and refocusing on core brands, and direct / online trading improved significantly. Results for 2016/17 were significantly improved. I wondered about them trying to expand too fast and dabble into too many systems. The Halo property was picked up and offered as another space fleet game which to me was sort of butting heads with Firestorm Armada. I heard there were rumors floating about having another trimmed down fleet ruleset for FA too. A reboot of sorts with Dystopian Wars also got a mixed reception with long time fans. PlanetFall looked cool and appeared Spartan Games had some interesting ideas mixing it in with FA as a combined planetary invasion game. But makes me wonder with competition of Dropzone Commander, and Games Workshop always having Epic 40K in their back pocket, how the rule system would fare in the long run. It also appears some of their Kickstarter campaigns have been cancelled (see pic below). I think fun, fleet game systems are sort of lacking and with the vacuum it looks like no one will ever take a real stab at them in the future. Either for fantasy or sci-fi, Games Workshop can just act as a market juggernaut with a re-release of old properties, essentially guaranteeing getting a chunk of cash from die-hard fans and out compete any newcomers. Shame. If folks still have questions looks like email to spartangames@mail.com is your best bet. 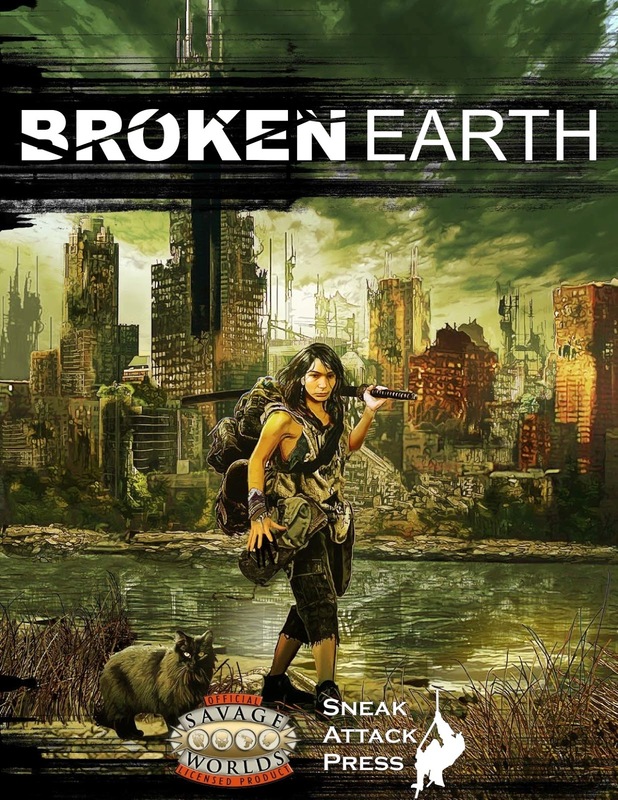 A while back I reviewed Broken Earth, a post-apocalyptic setting for Savage Worlds. I liked it. It had a nice flavor of not being too out there as a setting with enough twists and weird mutant stuff to make it interesting. One big gripe I had was the maps however. They were pretty hard to navigate using the book. Seems a free map is available at Drivethru RPG. It’s still a little sparse on details and certainly keyed for locations in the setting, but overall I think much of an improvement from what was presented in the physical book. Worth checking out, and a shout out to the folks that run the Savage Bloggers Network for circulating this. I’ve been pretty fortunate over the past few years to get into a circle of local gamers. There seems to be a decent community behind a lot of them too. Alleycon will be running next month and what started out as an afternoon of gaming at a local expat restaurant has slowly morphed into a full fledged con. This year it’ll be 2 full days of gaming and geekery September 19 and 20, with a local meetup the night before for beer and trivia. 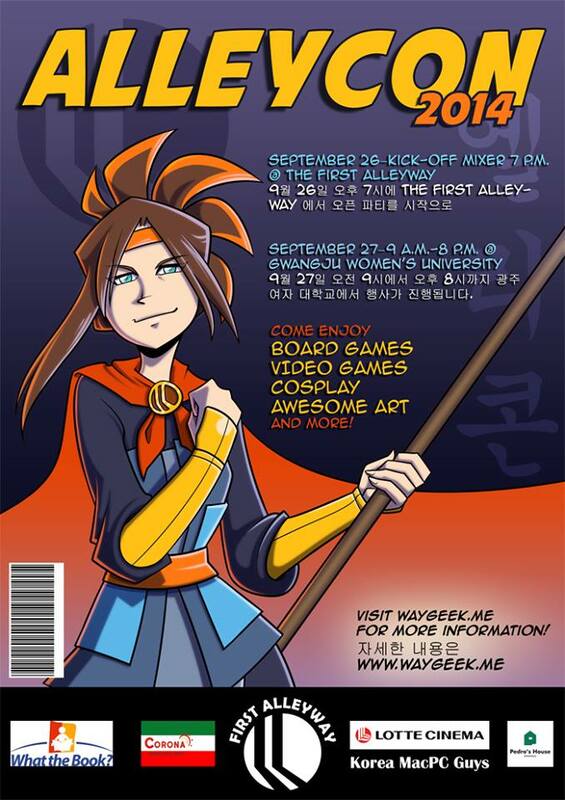 So if you are in Korea and keen to play some games, do some cosplay, or rub elbows with fellow geeks, be sure to check it out. From what they’ve got listed as events there’s lots to do (or plenty of space to run your own thing). Online registration is open now. Scoop up tickets before they sell out! I’ve avoided the siren’s call of Reaper Kickstarter campaigns of past. But the temptation to pick up a slew of minis is just too much. Their current Kickstarter campaign wraps up in less than 3 days. As usual, you get a ton of plastic minis. The bonus for me is that you don’t need to prime them. I prefer to use tokens for my RPG sessions over using minis. But I am pretty deep into miniature gaming and been taking a gander to some different systems as of late. Pulp Alley looks neat and Frostgrave is certainly on my radar for something to pick up. As a back up, there is always Chain Reaction which is generic enough for a variety of light arms skirmish games. Yet, I’ve heard some cool things about Songs of Blades and Heroes too for fantasy melee. Yeah…. guess I’ll have plenty of games to run with these KS goodies. Those that check my blog out regularly know I love me some 6th gun. It’s a great comic and a setting I mined for my own Weird West game. Deadlands is cool but it’s a little too out there with spooky and steampunk stuff in the setting. I opted for an alternate history with some supernatural bits thrown in. What I like about 6th gun is for the most part it’s the world today with a smattering of the supernatural. The players themselves are knee deep in it, but the world around them only occasionally steps into the boundaries of this alternate spiritual world. I see it as a little easier fit that Deadlands, which to me needs a bit more work conveying the setting. Deadlands is certainly the wild west, but there are a lot of changes to the landscape. 6th Gun doesn’t have this issue. While people could dabble in the game setting, I expect it could serve as a great epic campaign too. For folks unfamiliar with the comic, the story revolves around the acquisition of 6 guns which give the wielders supernatural powers. I cant totally see a game where players focus on a single gun, or try to wrestle a larger story where all 6 come into the picture and the greater implications of their role in the fate of the world. There is a lot to toy around with here. So the kickstarter campaign is running along and has reached it’s funding goal. It’s all extras from here on out and some look nice. I particularly like that there are add-ons that incorporate picking up the comic, and those minis look pretty cool too. If you want to dabble in a supernatural western setting, this looks like a good fit. 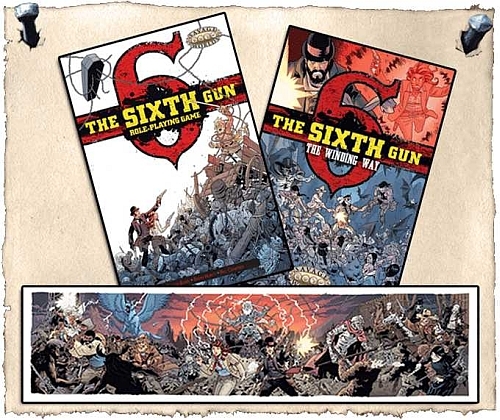 While not quite as gonzo as Deadlands, 6th Gun should still scratch that itch of the wild west with one foot firmly planted in creepy territory, and not sway too far into steampunk like Deadlands does. Might be worth a gander for folks. Last year a small geek fandom con dubbed, Alleycon, was run at a local eatery in Gwangju, Korea. This Sept. 27 it’ll be hosted in a larger venue at the Gwangju Women’s University. Last year the event was pretty fun and it looks like it’ll be bigger this year with some more guests and organized events. Pre-registration I believe is closed, but seems there is still quite a few passes left so registration at the door shouldn’t be an issue. Not certain about the costs, but all day passes should run between 20,000-30,000 kwon. Best of all many con events will have proceeds going to a local orphanage. So you can spend some cash picking up (and playing) some geek-centric items and ease that guilt a little knowing you are doing some good at the same time. There’ll be a cosplay contest, video games, some Q&A sessions via skype with some sci-fi authors, and a bevy of tabletop gaming. Along with set events, there will also be a room with open tables. So if you are itching to throw down and try out a game in your collection, this might be a great chance to try it out with a few like minded folks. I’ll be running a Bolt Action demo game and also a Savage Worlds WWII game. Last year I did something similar and had a good time running events as most of my players had not tried RPGs or miniature wargames before. So it’s always a treat to give folks a chance to see what the hubub of gaming is all about. Why is the starter set for D&D ignored? So news has hit like a ton of bricks about the release schedule for DnDnext. EN World got a scoop and have followed up the official announcement over on the WotC main page. Two big things that stand out are a staggered release for the core books with the DMG rounding up the group last. The next bit of news that seems to get a lot of chatter are the prices, which tips in at $50 a book. That’s pretty hefty. I can totally see how folks could be put off by that. Some also have been pretty vocal about the price of entry for the new edition being too high, so high they aren’t going to bother. What I don’t get is how the starter set is completely ignored by them. I guess people are imagining the worst with the starter set. Honestly I felt much of the past introduction products for 4E were lackluster. However I have hopes for the new boxed set. I really have a vibe they are going for a more complete product with the introductory box. Lots of questions about character creation and the starter set – you will definitely be able to make characters when it comes out. Lots of Q’s about the staggered release: You will not need the MM or DMG to run a campaign. Or the PH or Starter Set to make a character. This last bit makes sense. The public playtest rules are out in the wild. While torrents are illegal, folks at WotC have to recognize stuff is out there, so why not embrace it somewhat and provide free, legal PDFs of their own? More importantly, if there are tweaks to abilities, spells, and powers, an electronic version can be pulled and a new errata version put up. It could be a nice way to ensure players are bringing up-to-date characters around the table at public play events. 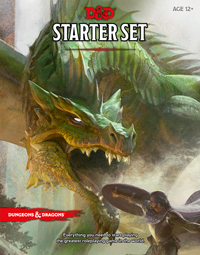 The starter set might be lackluster with just pregens and a simple basic adventure. However it might also be a pretty phenomenal product. It might have the muscle in rules and material to be the only thing needed to play D&D. If you really want options and the full plethora of creatures, treasure, and classes, the core books are the way to go. But if you want to play a game and get a few levels in for some characters, the starter set might be a solid option. It may very well be the product that everyone points to and says, ‘This is what you need to play D&D.‘ It’s only $20 too. A great price for hopefully a great product to get people playing D&D. Maybe with all the gnashing of teeth and ire over the core books, folks need to remember there is a product that will be out there made especially for those that want to try D&D out, and it’s far less than the $150 price tag of the core books.